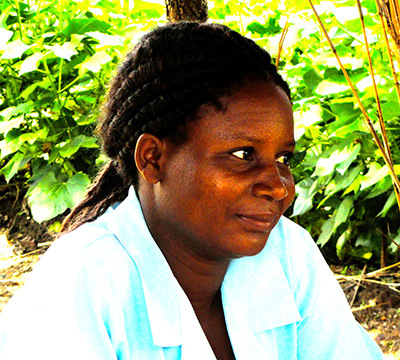 Gladys joined VillageReach in May 2009. She is stationed in the Dziwe area, and manages three villages – Sitima, Kasonya and Chipumi – serving nearly 900 people. Exceptionally well trained for this responsibility, Galdys has a Malawi School Certificate of Education, as well as certificates in Participatory and Hygiene Transformation, First Aid, and Community Therapeutic Care. Gladys has recently been trained in maternal and neonatal health, to try to reduce deaths among mothers and infants in her catchment area. The knowledge she gained in this training will be especially useful in her community where women may travel as many as 19 kilometers to seek maternal care. Her effort as a frontline health worker will help reduce the distance between mothers and the support that they need to keep themselves and their children safe and healthy. In Malawi, more than one quarter of all childhood deaths are attributable to the precarious neonatal period. As of 2009, the country’s under-five mortality was ranked 26th highest in the world at approximately 110 deaths per 1,000 children (down from 218 in 1990). Of this total, roughly 62% occur in the first year of life (69/1,000) and 27% occur in the first month of life (30/1,000). Approximately 30% of annual neonatal deaths are attributable to infection, 22% to birth asphyxia, and another 30% to preterm delivery – a reflection of international trends. Generally speaking, significant gaps in care exist around exclusive breastfeeding duration, antenatal care coverage, skilled birth attendance, and post-natal care coverage. Not only are these indicators unacceptably low, but they also reflect a large disparity between rich and poor sectors of the Malawian population – indicating that the capacity exists to improve health in these areas, but dissemination and coverage is currently limiting care. Galdys’ work to improve the lives of mothers and babies in the Kwitanda community is incredibly important. She has formed a maternal and neonatal health committee with fifteen volunteers to mobilize and educate the population on topics such as: breastfeeding, hygiene, and maternal nutrition. Additionally she makes home visits to encourage pregnant women to attend antenatal clinic in Kwitanda Health Center or Liwonde Health Center (in addition to many others) where mothers can receive a free bed net and other important distributions such as iron, which will help ensure a healthy pregnancy. Equally important, Gladys also encourages expecting mothers to give birth at Balaka district hospital with a skilled birth attendant to improve the rate of safe and healthy deliveries in her catchment area. Additionally, Gladys educates the community about family planning methods and the benefits of having a small family, including more resources to give to each child. Like the counseling cards which she uses for maternal and child health, Galdys uses simple materials to support her educational visits. She provides counseling three times for pregnant women and three times after giving birth. Gladys’ schedule is busy. She sees 6-14 patients on any given day and manages nearly 100 cases every month. 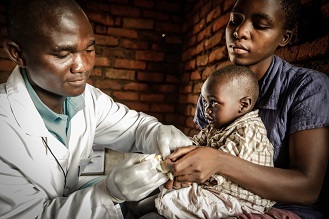 Gladys also operates a village clinic where she sees patients between two months and five years of age and treats them mostly for pneumonia, diarrhea, and red eye. She also checks for danger signs, gives first doses of treatment, and refers complicated patients to the health center. Fortunately, Gladys loves her work. An exemplary frontline health worker, she likes helping people close to their homes where she can help community members change their behavior for better health. “When I started in my catchment area,” Gladys told us, “there was no hand washing facilities. But now because of my efforts and health education, there are 20. As you know health behavior change takes a long time.” We hope that she’s with us for the long haul.